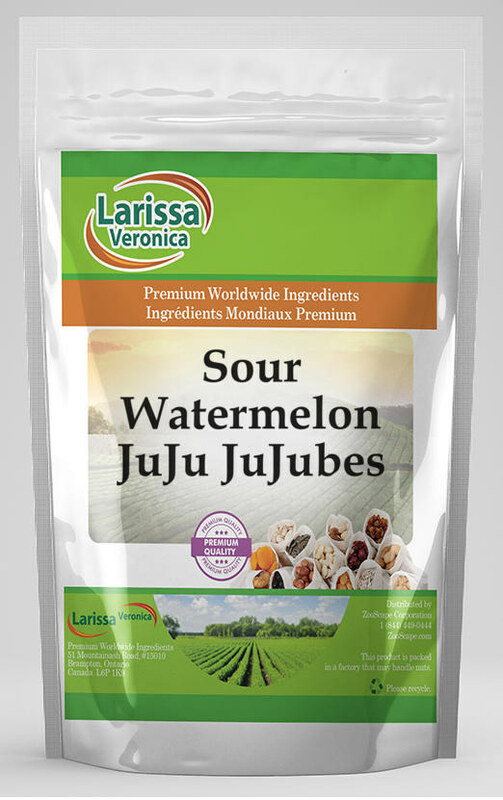 Sour Watermelon JuJu JuJubes are chewy juju candies in the shape of watermelon slices. Each candy is coated in sour crystals. 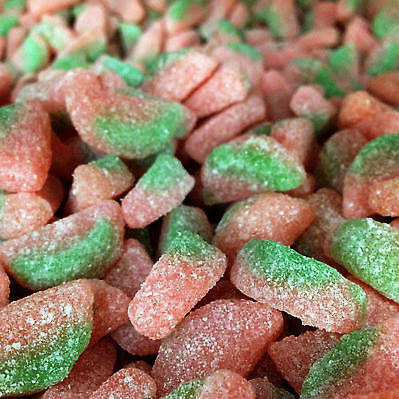 There are about 125 Sour Watermelon JuJu JuJubes in each pound. Buy 1 for $9.39Buy 2 / Save $0.50!Buy 3 / Save $1.88! Size (inches): 2.56" X 5.51" X 9.45"
Larissa Veronica is an exclusive line of natural premium-quality products that use only the purest and finest ingredients from around the world. Larissa Veronica is hallmarked by the highest possible standards of purity, stability and freshness. All of our products are prepared with the highest elements of quality control, from raw materials through the entire manufacturing process, up to and including the moment that the bottles or bags are sealed for freshness and shipped out to you. Our highest possible standards are certified by independent laboratories and backed by our personal guarantee. Larissa Veronica strives to make all products affordable and we are constantly researching the market to maintain our affordability and to look for new ways to serve you and the ones you love. Larissa Veronica has become a trusted household name for many families. Larissa Veronica is packed in tamper-proof, food-grade, recyclable containers. ZooScape is proud to be the exclusive distributor of all Larissa Veronica spices, snacks, foods and ingredients in the United States, Canada and around the world. Please direct all wholesale and bulk inquiries to Simona Heather at 1-844-449-0444.